As part of their writing skills development, the children in class 3 were working this week on how to be better learners. 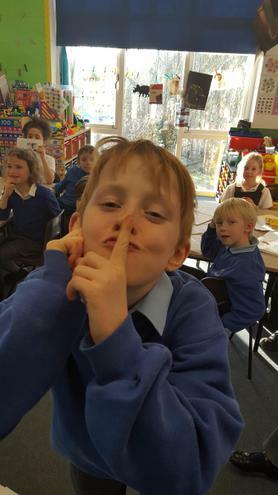 They were given the task of writing a piece for class 1 explaining that the first step to being a good learner is to be a good listener. Their persuasive writing was a great success with their younger peers. To find out more and to see more pictures, please click here.